Supporting someone with BPD can sometimes be distressing and difficult. It can seem like nothing is changing. 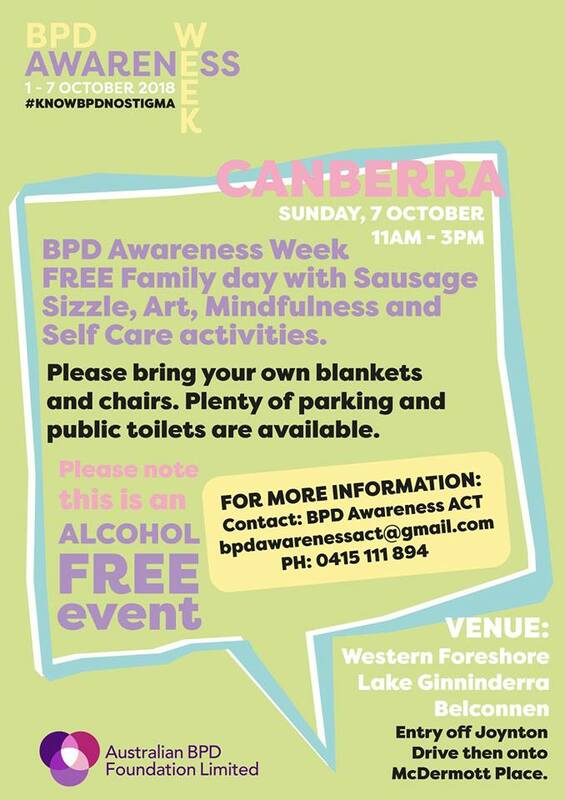 If you are a loved one of someone with BPD, check out borderineintheACT.org.au ‘Family, friends and carers’ for information about helping someone with BPD and looking after yourself. Look out for more posts today focused on ACT local programs for supporters of those living with BPD. Family Connections is a free 12-week program providing education, skills training and support for people supporting a person who experiences BPD symptoms. Meetings are held on Wednesdays at 3.00-5.00pm. For more information about the program click here, and to register click here. It’s time to smash taboo and talk about BPD Know mental health. No stigma.